Eggshells that are baked and then crushed into a fine powder could be a cheap alternative in renewable energy storage options, Murdoch University researchers have found. 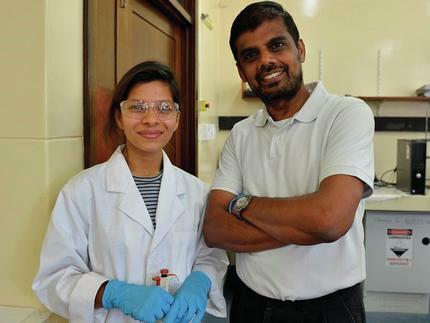 Dr Manickam Minakshi and his team have been working with researchers from around the world to test whether eggshell powder can work effectively as positive and negative electrodes to power batteries. The research is the first of its kind in the world and is testing whether eggshells can provide an alternative to the traditional reliance on fossil fuels in powering lithium-ion batteries used in households to store renewable energy. 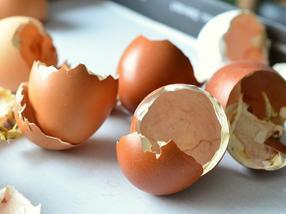 Eggshells are abundant and affordable, and could put green energy potential in the hands of the developing world if testing proves successful on a larger scale. Dr Minakshi said while eggs were used worldwide in large quantities in the food, pharmaceutical and manufacturing industries, the shells were often discarded as solid waste that ended up in landfill. “If we can establish that eggshells can be used as electrodes in powering batteries, the applications of such technology can be enormous,” Dr Minakshi said. Eggshells contain a high level of calcium carbonate, and the membrane that sits around the yolk provides a protective protein barrier, which allows researchers to cook the shells at high temperatures and then crush them down into a powder using a mortar and pestle. The baking process changes the chemical composition of the eggshell material, allowing it to become a more efficient electrode and conductor of power. In experiments using supermarket-bought caged eggs, researchers were able to successfully use eggshells as an electrode – both as a positive anode and a negative cathode. The researchers are yet to test whether free-range eggshells have the potential to be better electrodes to conduct power. Dr Minakshi has been working on developing affordable energy storage solutions for several years. In 2012, he and his research team developed a water-based sodium-ion battery, chosen because its chemical properties were similar to lithium, the element that powers most portable electronic devices. Researchers from Kyoto University, the University of Wollongong and the Helmholtz Institute Ulm in Germany took part in the research, which has been published in the Royal Society of Chemistry’s Dalton Transactions journal.